Ladies, get excited! There is a new shoe store in town brought to you by dynamic sister duo Kate Dawson and Kelly Zakharoff. 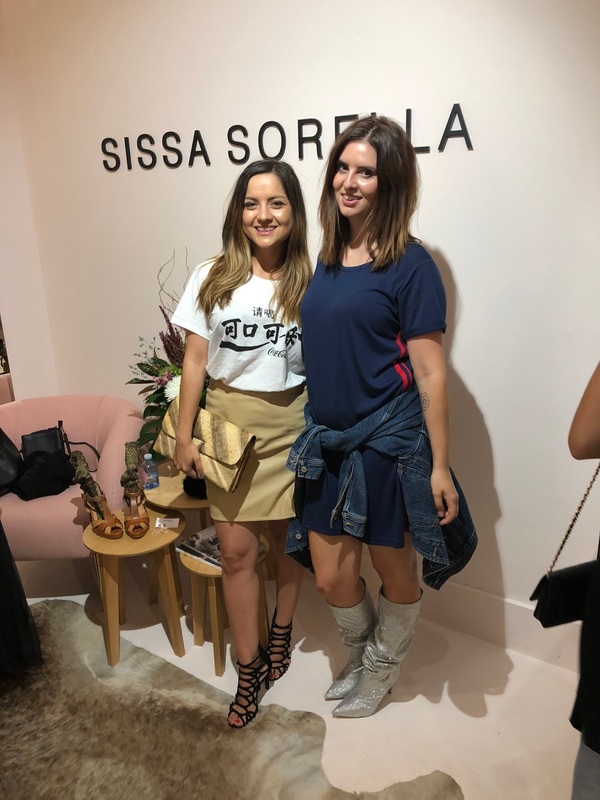 We were lucky enough to get an exclusive preview at their recent launch. We were treated to champagne, a grazing table and a seasonal showing which we all “ooed” and “ahhed” over. Tucked away in Deakin shops, this shoe store is for the modern woman. There is something for everyone as the store boasts a vast range of shoe styles at affordable prices. The interior design is spectacular, with cute knick knacks scattered around including luxe rose gold telephones. Oh yeah, and have we mentioned the store itself is millennial pink? It also features a gorgeous moss green section which sits the most comfortable couch to rest your tooch on for when you’re trying on shoes. 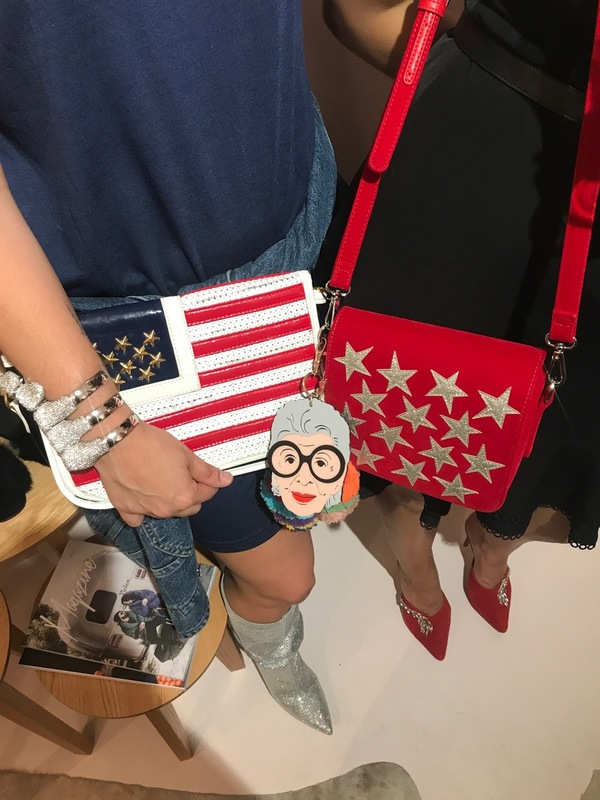 The store is also adorned with accessories such as statement earrings from our very own, Janette Wojtaszak and a gorgeous collection of bags. You come for the shoes, but you really stay for the company of Kate Dawson and Kelly Zakharoff, the amazingly talented managers. 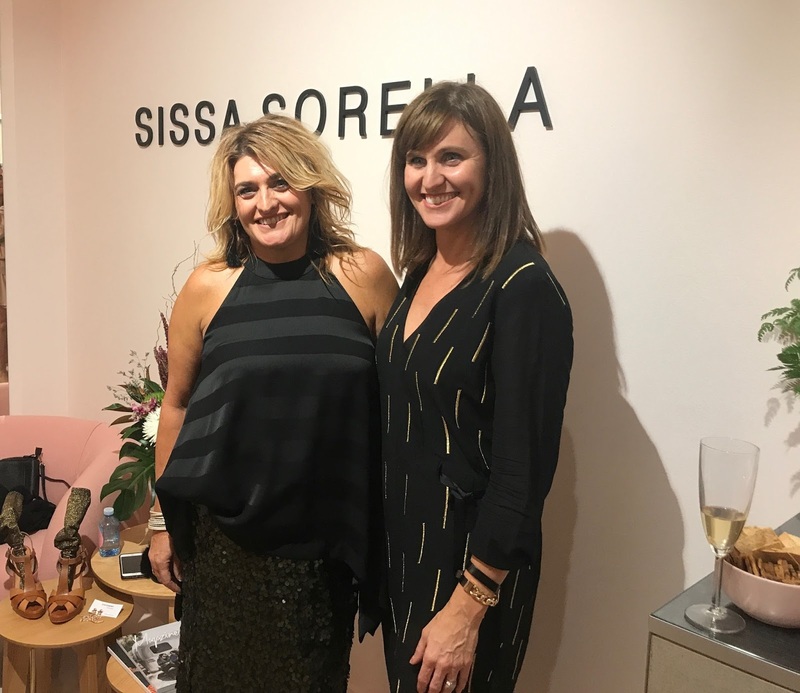 We managed to get some one-on-one time with our new fave sisters to find out more about Sissa Sorella. TFV: Where did the inspiration for the concept come from? Kate: It came about organically, I was in the process of looking into different business options in hospitality and after thinking about it more I realised I was mad to want to do that again. Kelly decided she wanted to be a part of this journey. Baby pink lease was up and it was perfect timing. We definitely agreed there was a big gap in the market for shoes in Canberra. 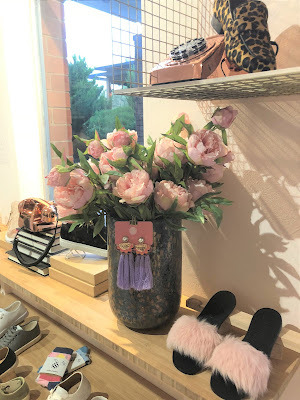 Kelly and I often will travel to Sydney or Melbourne and buy up 5 pairs at a time maybe twice a year and couldn’t find anything exciting or different that I loved. TFV: When people walk in the store what can they expect to find? Kelly: Lots of different things, that they won’t find in David jones or Myer. We have been very selective and making sure that we have tried everything on to for the fit. Our shoe styles are for a variety of age groups from 20 something pushing up to the 70s. Kate: What is really important to us is service. Because I think if you go into other stores Canberra or Sydney it’s really hard to get good service. We want to make people feel comfortable and have a play with the shoes. That’s why the lounge is there. 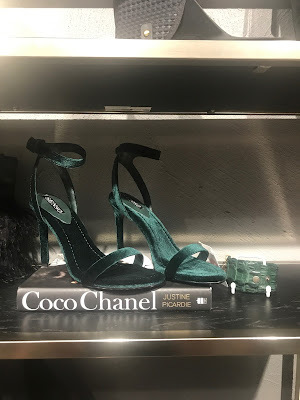 That is the best thing trying on shoe you get to see how they look. We don’t care if you try on ten and don’t get any. 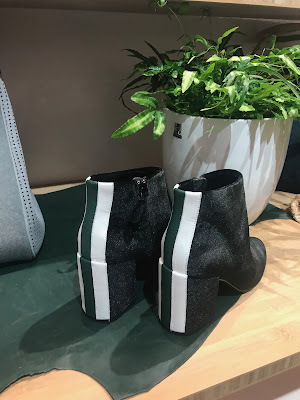 Kate: We initially thought our target market was 25-50 but since opening our doors we have women pushing far beyond that age walking out with shoes such as rose gold boots. Kelly: We are not aiming at the comfort shoe market or fast fashion, we wanted to have a nice collection of brands you can’t find in Canberra. TFV: Tell us about the brands you curated for the store? 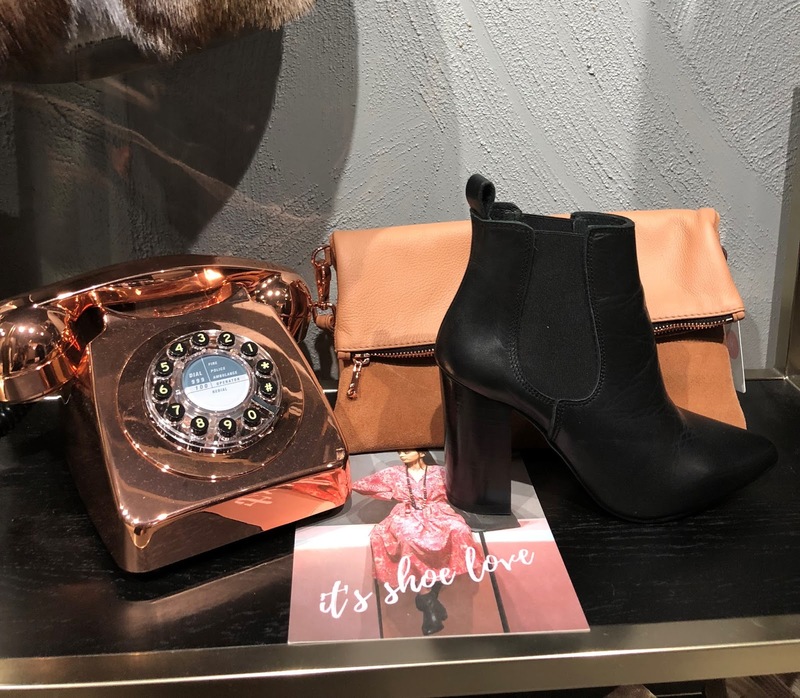 Senso, Spring Court, Django & Juilette, Nancy Bird, Mollini, Silent D, ZK Footwear, Department of Finery, Lokas, Lemon Jelly, Hispanitas, Zinda, and Alias Mae. TFV: Describe your store in two words? TFV: As successful business women what advice would you give? Kate and Kelly: You just have to be brave and take a risk. Do what makes you feel good, and do it because you are passionate about. Thanks for a fab night ladies! Their slogan “shoe love is true love” could not be anymore accurate.